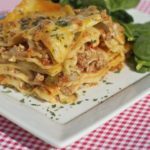 Lasagna is one of my favorite dishes so it was no surprise that I loved this picante lasagna recipe the moment I tasted it. It’s my sister in-law’s recipe that I’ve adapted slightly because that’s how I get down. Every time she’d make it I’d always say “I HAVE to get this recipe one day”. Well that day has come. This is my third time making this picante lasagna and it is definitely in my last minute dinner recipe stash. The greek yogurt really lends a unique and delicious flavor to this lasagna and I just love how you can throw the noodles in there uncooked. It all comes together so quickly and the flavor is “company” approved. I’ll be making up a few batches of this lasagna to throw in the freezer on those REALLY busy/lazy night. A lot better that Stouffers! Serve it up with a salad, breadsticks and sweet tea and then call me over for dinner !! 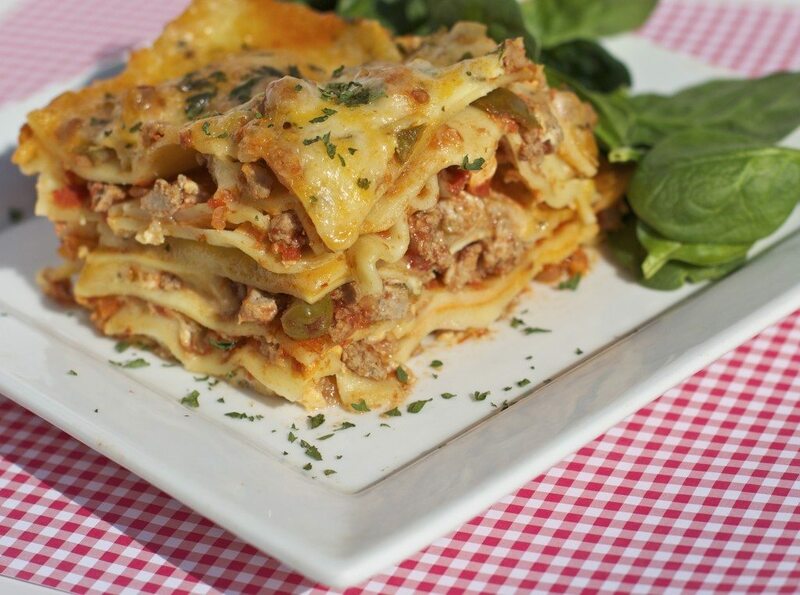 Watch me make this picante lasagna from start to finish! This easy picante lasagna recipe is quick and delicious. Fancy enough for company dinner and simple enough to make on a weekday. No need to precook the noodles either! Fabulous! In a large bowl, add heavy whipping cream, eggs, mexican cheese, italian seasoning, greek yogurt, & parmesan cheese. In a 9X12 dish, layer the lasagna: meat-noodles-yogurt mixture-italian cheese. (any order of layering will do) Use a small dish for more layers. Finish with a layer of italian cheese. Let cool for about 10-15 minutes before cutting. Awesome! My father is old school and really picky when it comes to food. He LOVED it and watched me make it the second time and wrote down every item. Great job Mo! I substituted the picante for pasta sauce and followed the remainder of the recipe. IT WAS DELICIOUS!!! My family tore it up! This is the second recipe of yours that I have completed and That’s 2 for 2. Keep them coming for me to try! Thanks a bunch love! This turned out excellent! I added more cheese to the layers. Loved it! This was GREAT! Awesome recipe.